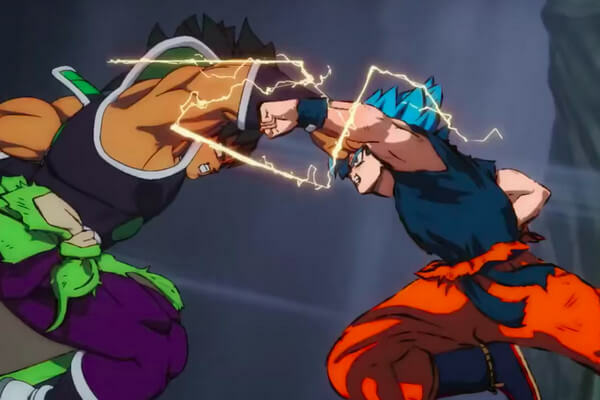 Home » Anime » Dragon Ball Super Broly Review: Best Dragon Ball Movie To Date? The incredible Dragon Ball Super series has ended; yet, its popularity has never dwindled. 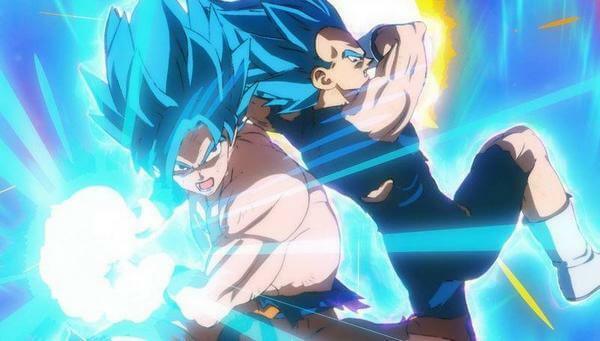 This is proven by the fact that the upcoming Dragon Ball Super movie: Dragon Ball Super Broly has already become the 3rd Highest-Grossing Anime Film in US despite the film’s official release date of November 14. So far, many, many people, especially Dragon Ball fans, are extremely happy with the movie. So how good is this new Dragon Ball Super movie? Let’s find out in this Dragon Ball Super Broly review! For those who do not know, Dragon Ball Super Broly was originally teased back in Jump Festa 2017 under a generic title: Dragon Ball Super – The Movie, with the theme of “The Strongest Warrior Race in the Universe, The Saiyans”. 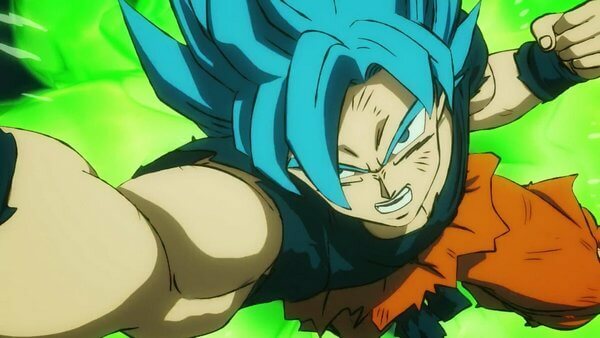 Then on March 2018, Toei Animation released the very first teaser trailer featuring Goku and a mysterious character. It is also a mean to show off the new animation for this Dragon Ball movie, which by the way looks really awesome. And finally on July 2018, the huge surprise finally came to Dragon Ball community when the film’s official title was revealed to be: Dragon Ball Super Broly. This is big news since Broly has always been one of fans’ favorite characters although he was originally a character from the 1993 non-canon film Dragon Ball Z: Broly – The Legendary Super Saiyan. Aside from this film, this character also got 2 more non-canon films called Dragon Ball Z Broly – Second Coming in 1994 and Dragon Ball Z Bio Broly in 1994. Both are also considered to be non-canon. As the result, we can pretty much get how hyped the fans were when they knew that Broly would finally return after 24 years. And even better, this movie is made to be canon, which means Broly is now officially a canon character in Dragon Ball mainline. Moving from Dragon Ball Super series to this new Dragon Ball Super movie, Toei Animation really stepped up with their visual and animation this time, especially thanks to Naohiro Shintani. And to provide a little bit of context, Shintani was invited by Toei to oversee the movie and more importantly, creator of Dragon Ball series – Akira Toriyama – approved this. For those who have watched Dragon Ball Super Broly teaser and the trailer, you will see a huge different between its new animation and the Dragon Ball Super series. The best thing about this new visual is that it brings back the nostalgic art-style of the old Dragon Ball Z. In other words, it is like a balanced combination between Dragon Ball Z and Dragon Ball Super style with the smoother and rounded design for the characters and their angular face in battle. The animation is also top-notch; it is smooth and full of life with vibrant effects and colors. This results in many gorgeous and stunning fighting scenes throughout the film. And arguably, Dragon Ball Broly has the best fighting scenes in Dragon Ball series to date. There are also certain CGI parts throughout the film. However, they do not play any big role and they will not take away your enjoyment for this movie. But of course, that is only the visual aspect; but what about the story and characters? 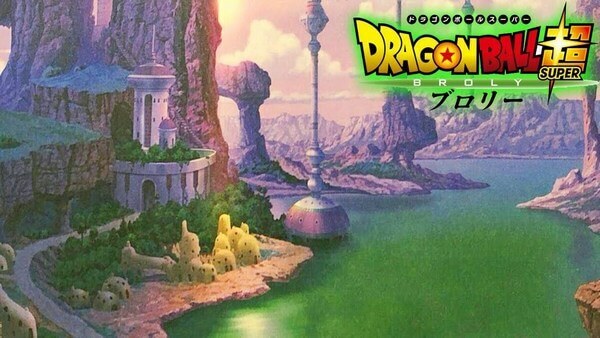 According to the synopsis, the movie will begin with a prophecy from the Saiyan people of planet Vegeta. The prophecy foretells a future when three legendary Saiyans will soon face each other in a battle, which can shake even the entire universe. Return to present day, it has been quite sometime after the Tournament of Power in Universe Survival Saga. Both Goku and Vegeta continue to train themselves in order to face the most powerful of the universe. And soon, they will have to bring out everything they learned in order to face their most fearsome, most ferocious opponent they’ve met yet: Broly the Legendary Saiyan. Frankly speaking, when Dragon Ball Super Broly is revealed to be a movie about Broly, again, certain fans probably had concerns regarding the quality of the film. As mentioned, the story of Broly has been retold 3 times before and therefore, it is hard to bring this story back effectively. And surprisingly, the story of Dragon Ball Super Broly turns out to be really good and well written. The story makes sense and really clear to follow. Fan-services are surely there but they are decent enough so that they do not go overboard. Dragon Ball Super Broly also did a great job in building their characters, specifically Broly, Goku, and Vegeta. 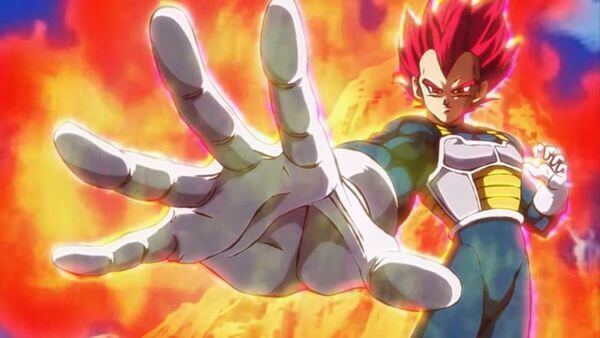 In this film, we get to know more about the planet Vegeta – home of the Saiyans like Vegeta and Goku. And of course, we get to know more about Broly who is surprisingly a much better antagonist than what we expected. 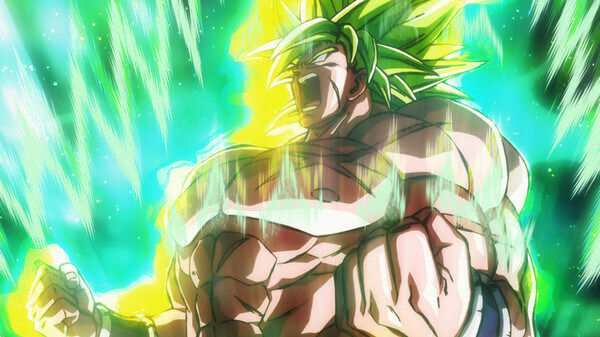 Compared to his previous movies, Broly in this Dragon Ball Super has a more compelling story. He has clear reasons behind his action and motivation, making him a much more compelling character, rather than a plain fighting machine. Furthermore, we do have reasons to care about Broly as well as Goku and Vegeta. We want to see what happen to them after their battle. Our main protagonists Goku and Vegeta also get better treatment thanks to some new story bits about their background. Also, their characteristics feel livelier as they have more things to talk about aside from fighting, like how and why Vegeta is always hesitate to show his true emotion. In overall, both story and characters in Dragon Ball Super Broly are really superb. All characters show lots more of their characters, especially Broly whose cause is sensible and sympathetic. Plus, there are actually a number of surprising moments which are absolutely welcomed in superhero film like Dragon Ball. 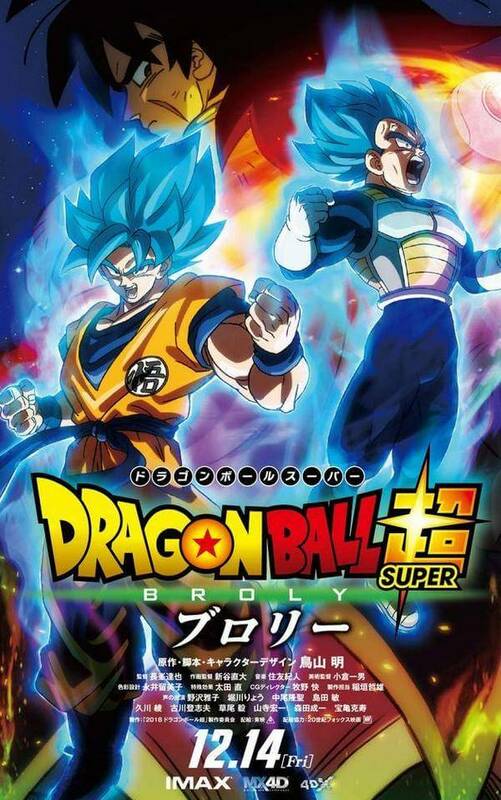 Consider everything this movie has to offer, it may not be an exaggeration when saying Dragon Ball Super Broly is the best Dragon Ball movie to date. To conclude, Dragon Ball Super Broly is truly an incredible and arguably the best Dragon Ball movie to date. It has pretty much everything Dragon Ball fans want to see: compelling story and antagonist, a good amount of fan-service, and spectacular battle scenes. And with such high praises, the final verdict for Dragon Ball Super Broly is an 8.5/10! This movie is indeed a love-letter for fans of Dragon Ball franchise. However, if you are not fan, or, don’t have any idea about Dragon Ball series, this movie may not be as much enjoyable. And that’s it folks! 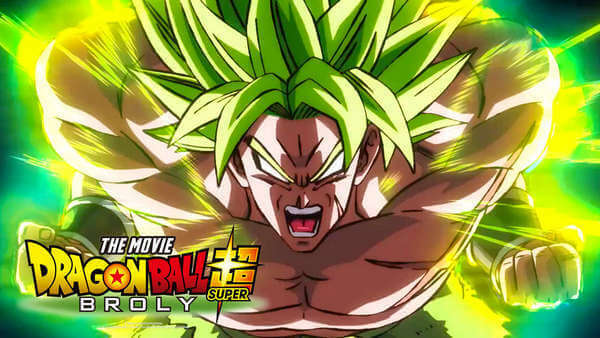 Is Dragon Ball Super Broly one of your most anticipated films this year? Feel free to share with us and for now, thank you and stay tune for more news in the future!